This book is very fantastic. I cannot describe it because I love it so much. It’s funny, sad(a tiny bit!) and also heartwarming. I do understand that no one could be like a mother to them, because your mother gave birth to you and knows every silly detail about you. I love double act! read it ages ago and can hardly remember it but I remember one of them got through to a dance/drama thing? I would strongly recommend this book to any one who has a twin because it’s kind of a story of how you can still be twins even though your twin is somewhere else. To expand, there is also a movie (which I’ve watched) but I personally think that the movie is better than the book because you can see what the author is talking about. I rate this book as 5 stars because I don’t like it, I love it! let’s put it this way:all the teachers at school think that jw books are a lot off rubbish and waffle(i agrey most times),but this book put it in an entiraly new situation. take it from me…..read it!!!! This book is really good because it give’s other people thoughts in their head. I really enjoyed this book and would recommend it to anyone. A great book by Jacky. I’d recommend to all readers! This book is about two twins. One of them is very smart her name is Garnet and the other Ruby. There is very few people who can tell them apart. A great story!! 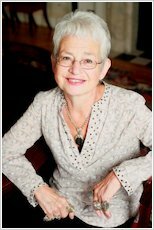 A brilliant hold-on-to-your-hats, bestseller by you-know-her Jacqueline Wilson!! This is a book about two twins.One of the two is very smart her name is Garnet and the other Ruby. There is very few people who can tell them apart.When they were babies their mother died. And a few years on there dad meets up with a woman named Rose.The twins hate her so does gran. Ruby & Garnet LOVE their gran so much, but one day they had to leave her they were so annoyed. The story goes on but I’ll leave u 2 find out! I would advise u 2 read it because its action-packed and exiting!! great book. and it gives you the opinion of each sister so you would know why they did what they did. I like the part where garnet fell in the mud. this book is my favorite book.there is two twins one of them is shy and the other is a chatter box. I think it is a rather rude for children! And has very unsutible pictures in it. I think I shouldn’t be rated for younger children as it is not sutible…. It should be for 50-99 yr olds. Another JW classic. Great book! This book is funny, imagnative, and cool. Another amazing Jacky Wilson read. For all ages, everyone will find something they like about this book. I love how it’s almost written as if both characters are writing the story in some parts, while in others its as if your looking down into their lives. There are exciting twists in the tail, and you just want to read more and more and more! heart-warming must-read tale of friendship and sisterhood! This book is brilliant, one year, for world book day, I dressed up as one of the main characters, Ruby. This so good.Ruby is ssooo good and Garnet is sooogoood as well. 2 twins called ruby and garnet they move house and live with a horrible step mother and then the twins get split up and things get tense between them will they ever get on? i loved this book! it was sad when ruby and garnet got split up and i would feel the same if i had a step mum and didnt like her! I read this book when I was little, about two twins but they a totually different they even adapted it into a movie. I loved reading this book! It was humorous and very exciting. I loved the description used in this book and would definitely read it again – and again! I really liked this book. Really recommend it! I’d love to have a twin! This book is great! My favourite book from all the time. I recommend to everyone to read this book. Absolutely LOVELY!! 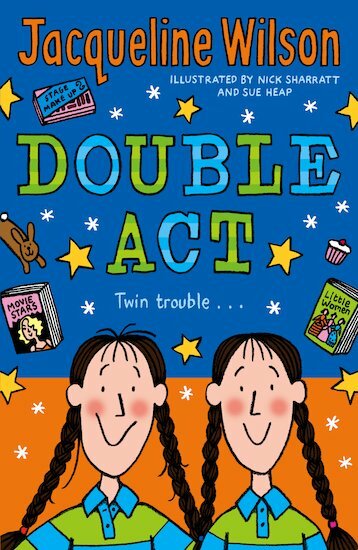 My favourite twin is Ruby and my school have got over 10 copies of double act. I read it 3 times. I would give this book 4 stars.